It’s three o’clock in the morning and I’m awake…..again…..for the 100th consecutive time. Maybe it’s the 112th….who can keep track anymore. I can barely hold my head upright. And I know that tomorrow is going to be a L-O-N-G day. They are all long days lately. But then I look down at your sweet face as you finally drift off to sleep. As your tiny little lips part and the expression on your precious face softens, signaling that you are truly relaxed, a tear escapes my eye. These moments are so few….in the grand scheme of life. One day you won’t need me to rock you to sleep. You won’t need to find nourishment from my breast. You won’t look to me for every comfort. And I’ll wish for these moments back. The moments when it’s just you and me and the moonlight. When the rest of the house sleeps, but you and I share a cuddle. I believe that the number of times I’ll have the opportunity to rock you back to slumber are numbered. And I’ve just marked off one more. 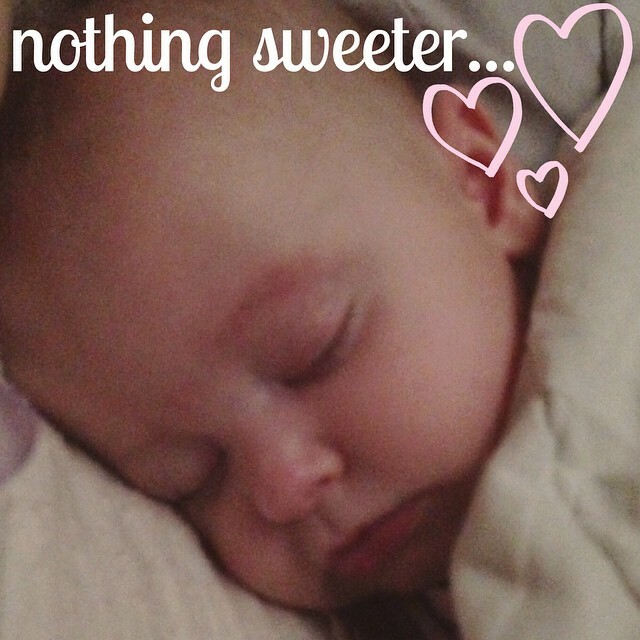 Suddenly, being exhausted doesn’t seem like such a burden………not compared to the beauty of a sleeping child. Not compared to you, my tiny love. You just made me feel all warm inside! No more complaining when she wakes 3-4 times because soon she won’t! And then not at all!